Last January we published an analysis (LINK) about UNSC document S/2015/809, which lists the international protection systems and the related obligations of the UN with a historical review from 1920 to the present-day, and at section V this includes the status of the Free Territory of Trieste, established on 15 September 1947 in execution of the Treaty of Peace with Italy. The document confirms that the Free Territory is currently governed in the first phase of the expected provisional regime, divided in 1947 between the Allied Military Forces which, since 1954, sub-delegated the temporary civil administration of the Italian Government (main zone) and of the Federal Yugoslav Government (accessory zone). Our analysis reminded that since 1992, following the UN Resolution concerning the extinction of the Yugoslav Government and the recognition of Slovenia and of Croatia in their present-day borders established with plebiscites, the present-day Free Territory consists in the main zone, placed under the temporary civil administration of the Italian Government. We did also remind that in 1977 the Security Council deleted from the list of urgent matters of discussion the question of the Free Territory of Trieste, but in a 1983 letter it confirmed once again that it can be resumed into consideration at initiative of any Member State of the United Nations. United Nations document S/2015/809 and our analysis (which was also shared on the UN Social Media: LINK) threw into panic the Italian politicians who are attempting to eliminate a huge, functional sector of the international Free Port of the Free Territory of Trieste simulating Italian sovereignty over it (LINK). 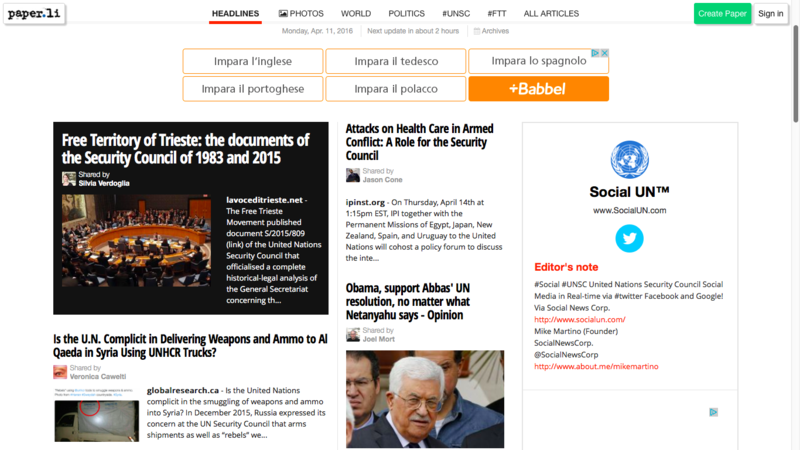 The main political promoters of this international fraud are all heads of the PD (Debora Serracchiani, Roberto Cosolini, Ettore Rosato, Francesco Russo), the governing party of Italian premier Renzi, who supports them (LINK), and they reacted using the Italian Ministry of Foreign Affairs to try obtaining a sort of denial from the UN. But all they obtained from the UNO is a letter of an officer of the legal service – without register numbers – that does correctly confirm document S/2015/809 being a historical review of the international protection regimes that includes the Free Territory of Trieste, and that the Security Council has currently no items concerning the Free Territory of Trieste on its agenda (LINK). 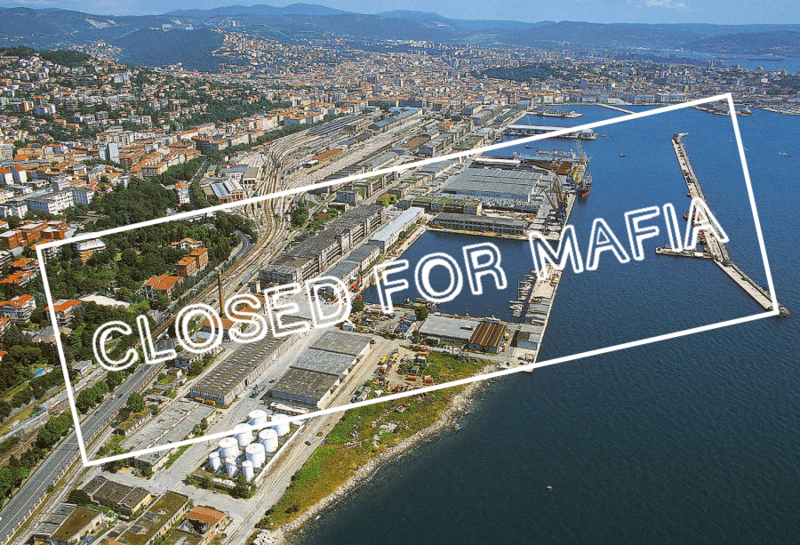 To this point, the politicians who exposed themselves the most in the fraud against the international Free Port decided to cheat, with a press conference in which Senator Francesco Russo officially presented the letter of the UN officer declaring that it confirms Italian sovereignty over Trieste. And the powerful, antidemocratic machinery of media under the PD broadcasts this shameless disinformation. Essentially, they are desperately trying to make it seem like it is still possible eliminating half of the international Free Port of the Free Territory of Trieste to keep the promise to hand over the area for housing speculations worth billions of Euro and to divert huge, future maritime traffic routes from Trieste to the ports of Southern Italy. Those two political-administrative frauds are huge and linked to each other, and both do inevitably attract the attention of Italian mafias (LINK), which have vast capitals to invest for money laundering. However, they are the most dangerous economic partners, because according to their codes of honor they are capable of as much generosity to those who promise earnings to them as much as they know how to be merciless with those who do not keep such promises.